On the nose, one can immediately detect the greater percentage of Merlot in the blend: more red fruits evident with touches of kirsch and cranberry, evolving a slight cooked meat aroma in the glass. 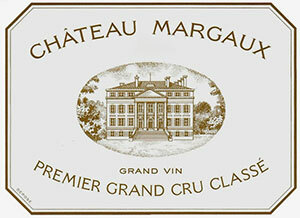 The palate is medium-bodied, quite backward, with firm tannins, very seductive and intense. Lovely fleshy middle redolent of the -85 with a savoury aspect embellishing the finish that has a slight semblance to a Cabernet Franc based Saint Emilion. Very intellectual - it deserves another 8-10 years in bottle. Edging closer in quality to the 1996 but a different creature. Drink 2015-2035+ Tasted March 2008.